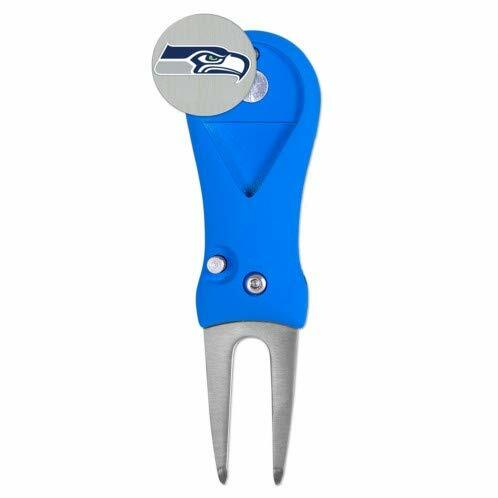 Our spring action divot tool has a quick switchblade function and closes to small 3" x 1.5" size to easily fit in your pocket. The colorful base is a hardplastic with a soft satin matte finish and the licensed removable marker is a 1" size. Assembled in the US.